Commonly mistaken as a peasant's sword, the Falchion has a long history and has spun off numerous swords carrying its characteristics. 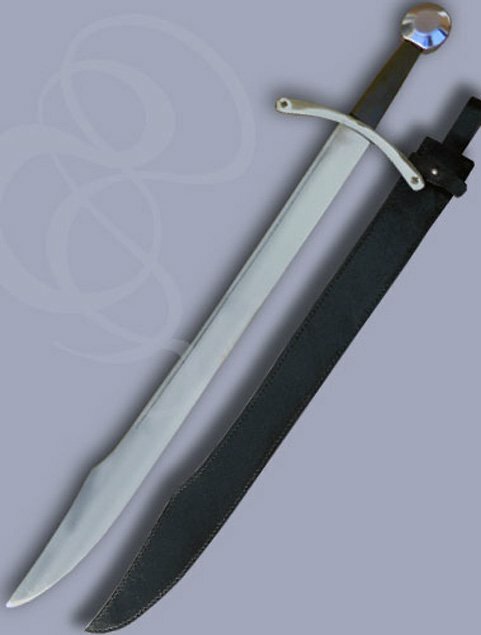 This falchion has a nice curve to it and is weighted similarly to the first falchions created. Sleek design and a distinct blade groove put this sword in a class of its own. This blade stands at 28 inches and includes a nice handle with leather-wrapped wood. Great decorative piece as well as a gift. Can be engraved as desired for additional character.